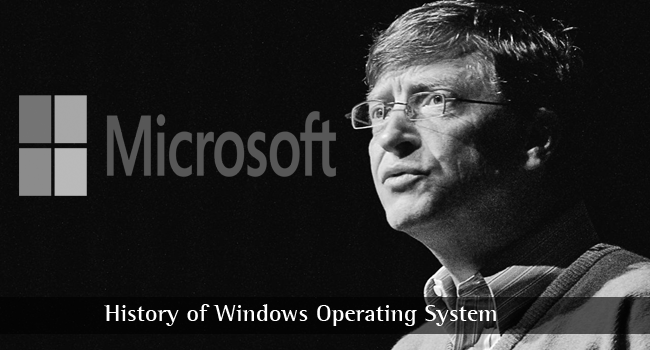 Prior to discussing a history of Windows, here is a brief introduction to how Microsoft began. Bill Gates and Paul Allen were childhood friends at Lakeside School, Seattle, and both Basic programmers. In 1974, the first personal computer kit (the Altair 8800) was launched by Micro Instrumentation and Telemetry Systems (MITS) in Albuquerque, New Mexico. Gates and Allen contacted the president of MITS (Ed Roberts) and offered to develop the first microcomputer form of BASIC (originally developed by John Kemeny and Thomas Kurtz) to extend the performance of the 8800. Paul Allen was working in New Mexico with Honeywell by this time, and Gates had enrolled at Harvard. After successfully developing Altair BASIC for the Altair 8800, Allen joined MITS as director of software and, with prompting from Allen, Bill Gates dropped out of Harvard to join him at Albuquerque. The beginnings of a new company, initially known as ‘Micro-soft’ was created. In 1979 Microsoft moved to Bellevue, Washington, incorporating in 1981. 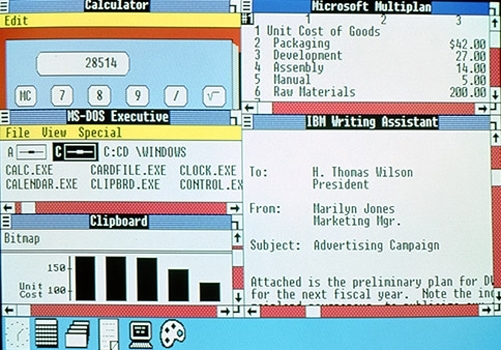 In the same year, IBM launched its personal computer using Microsoft’s new operating system, MS-DOS 1.0. The company went public in 1986 after moving to Redmond up in Washington. Paul Allen resigned from the Microsoft board in 2000, but is reported to still own 100 million shares in the company. Before discussing the history of all windows operating system, it’s important to understand exactly what an operating system (OS) is. Programs and apps do not run themselves: they need a platform to operate them just like a trampolinist needs the trampoline. Even hardware, such as a hard disk, printer and DVD reader/writer requires an OS to control them. In the early days of personal computers, the operating system was known as DOS (Disk Operating System) and variants. When IBM was developing a PC, the company approached a new company, Microsoft Corporation, to develop an operating system. This was named PC-DOS, and Bill Gates, ever forward-looking, retained the rights to create a version specifically for Microsoft known as MS-DOS. Each of these was driven by commands made from a ‘command prompt’ in the form of C:> The command was textual and activated by a carriage return or ‘Enter.’ Initially, Microsoft designed Windows to run on top of MS-DOS, generally referred to simply as DOS. The final version was MS-DOS 6.22 which became the underlying operating system for Windows 95, 98 and ME. After that, DOS was still available, but not needed to run Windows. Microsoft begins searching for a more user-friendly platform that did not require knowledge of DOS commands. Xerox had developed a WIMP user interface at its Palo Alto Research Lab. WIMP stood for windows/icons/mouse/pull-down menus (or p for pointer.) It was used in early Apple machines and Microsoft uses the concept as the basis for Windows. It is also used in IBM’s OS/2 and the X Window System of Unix. Released on 20th November 1985, Microsoft’s ‘Windows Operating Environment’ enables users to employ drop-down menus, dialog boxes, scroll bars and icons. By moving a mouse pointer, the user can navigate through the screen and click icons to carry out specific tasks. This is much easier than learning and typing innumerable MS-DOS commands. Windows 1 comes with a number of programs, such as a notepad, calendar, calculator, a paint application, a clock and a card file. It also comes with one game – Reversi. All of this was a revelation to most DOS users, although some still prefer to work with DOS commands. Microsoft introduced Windows 2.0 on December 9, 1987 as a reaction to the development of the faster 16-bit Intel 286 processor. 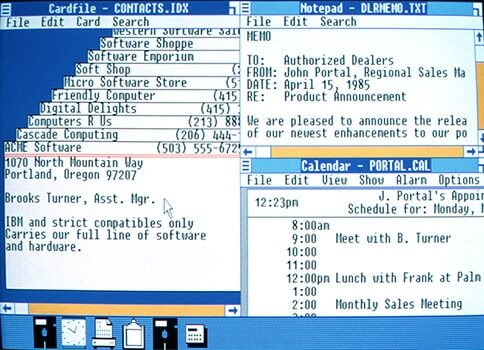 Windows 2.0 was more reliable and faster than Windows 1, designed with improved screen layout control. 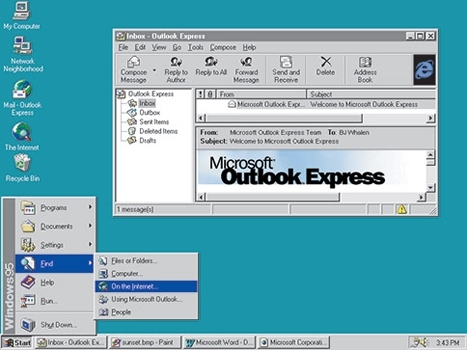 Desktop icons and keyboard shortcuts speeded up operations and overlapping windows were now possible. The 286 (or 80286) processor was released by Intel in 1982, but was not immediately used due to a lack of programs that could run with it. It had poor MS-DOS capability, and Windows 2.0 was quickly superseded by Windows/386 once Intel launched the faster 386 processor which allowed multiple MS-DOS programs to be run. IBM stuck with the 286 chip for its OS/2 system, this believed by many to be responsible for the IBM/Microsoft split. Launched in May 1990, Windows 3.0 makes best use of the Intel 386 (80386) processor, running significantly faster than the 286. 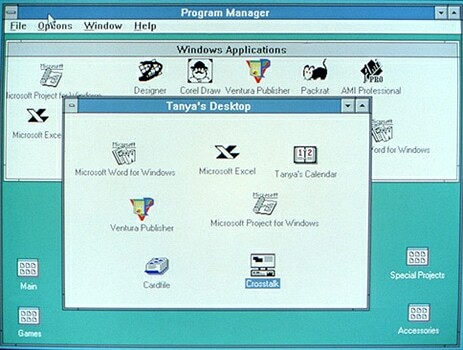 Windows 3.1 appears in 1992, and virtual memory, 16 colors, enhanced icons and other improvements make this a step change in Microsoft’s development. This release signified Microsoft abandoning OS/2, and Windows 3 versions are now competing with IBM OS/2 devices. The introduction of user-friendly features such as File Manager, Print Manager and Program Manager renders Windows 3 a very attractive package for both business and personal use. The latter is enhanced by the inclusion of a popular suite of games: Hearts, Minesweeper and Solitaire. Computers are beginning to look like today’s PCs. The release of Microsoft’s SDK (Software Development Kit) with Windows 3.0 enables software developers to focus more on writing applications resulting in the emergence of many new programs for both business and personal use. This software is still only available in large boxes containing floppy disks and instruction books. The hard disk and downloading from the internet have yet to be developed. However, networking is offered support with Windows for Workgroups 3.11, which facilitates domain and peer-to-peer networking support. The next version will improve the networking capability for corporate users. Ostensibly standing for ‘New Technology’, NT is Microsoft’s first genuine 32-bit operating system. It was originally designed to succeed Windows 3, but it soon became evident that its performance was not good enough for the majority of PCs on the market. Its use is modified to corporate server use and networking while the general consumer version of Windows remains at 16-bit. After Betas in 1991, it was released in 1993 as a portable strategic business system. NT began life as portable version of OS/2, changing its name to NT after the rift with IBM. This signifies the beginning of a major switch which will result in a single operating system for consumers and corporate users which starts with Windows XP in 2001. All future versions of Windows are now based on the NT operating system. Microsoft then seeks ways of removing the need for DOS and also focusing on the internet craze. The result is Windows 95 (internally Windows 4.0) marketed in 1995 as a discrete operating system which can be used without the need for a separate DOS license. Windows is now an OS kernel in its own right and no longer requires DOS. MS-DOS is still available, but can be run independently of Windows and vice versa. Windows 95 also addresses the need to tackle the rising demand for internet access. It offers internet support and improved multimedia capability, simpler installation of software and hardware through Plug and Play features, and improved networking and mobile computing. The taskbar and Start menu appear, as do the minimize, maximize and close buttons for each window. Internet Explorer 3.0 is also included. There is now DVD and USB support, and features such as the Quick Launch bar appear. Internet Explorer is also included. Another feature is ActivDesktop, which exploits the benefits of Microsoft’s ActivX control, enabling users not only to access local files and apps, but also online files and applications using desktop icons or objects. 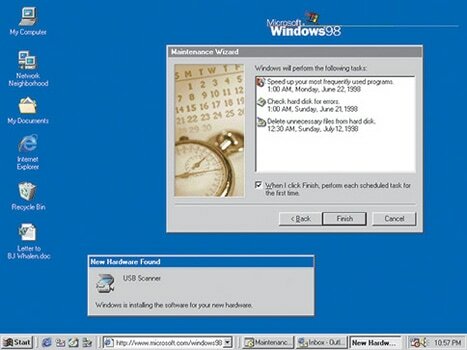 A Second Edition of Windows 98 was released in 1999. Windows 2000 was launched in February 2000, and is the minimum OS required for Pentium processors. It integrates some of the benefits of Windows 98, such Internet Explorer 4 and Outlook Express, into the NT operating system. In fact, all versions of Windows from XP onwards are based on NT. Microsoft designs Windows 2000 professional to replace all versions from 95 to NT for business use. It is claimed to be the most reliable version so far with superior internet and mobile capability. Windows 2000 has good stability, but it will not be long before Windows XP comes along as the next great thing! Released in September 2000, Windows Me is designed for home users only, focusing on video, music and home networking, while Windows 2000 was designed for business users. Me introduces improved security and system health, including features such as System Restore, System File Protection and auto-update. However, Windows Me is found by many to be unstable, and Me and 2000 are soon superseded by XP. Me is the last version of Windows to be based on the Windows 95 kernel, and all future versions will be based on the NT/2000 model. Windows XP appears in October 2001, offering more stability and ease of use in 25 languages. Most aspects of use are intuitive, with an easy to use Start Menu, Control Panel and Taskbar. Improved multimedia management with media Player 8.0 and Windows Movie Maker render XP ideal for entertainment use, while Internet Explorer 6 and Windows Messenger offer enhanced internet access. Evolving from Windows 2000, XP combines the stability of 2000 with the gaming capability of 98 and Me. With a Home Edition and a Professional Edition, XP promises the best for both types of user with a conflict between them that invariably leads to compromise. There is no compromise with Windows XP. Both versions offer improved security, performance and reliability, with Me users noticing most improvement. XP makes it easy to run a multiuser system and XP Professional includes advanced networking features, an encrypting file system and file access control. However, it has one major flaw: while it comes with a firewall, it is turned off by default and many users are unaware of this. Service pack updates significantly improve security, but not before many become subject to hacker attacks and viruses. Windows XP is the best Windows launch by far, and is the first version to last more than 3 years before being superseded. It will be 2007 before Vista arrives on the scene, and 2014 before XP support is finally withdrawn. Released in 2006, Windows Vista focuses on the increased security and reliability as laptops become more common. Perhaps the early security issues of XP influence this. Windows Defender is shipped with Vista, whereas it was a free download for XP, requiring the user to be proactive. The introduction of User Account Control makes it more difficult for malware that gets through the firewall to make changes to your computer. Windows Vista Ultimate offers BitLocker Drive Encryption that provides improved data protection. ‘Ultimate’ is a combination of Business and Home Premium editions of Vista. 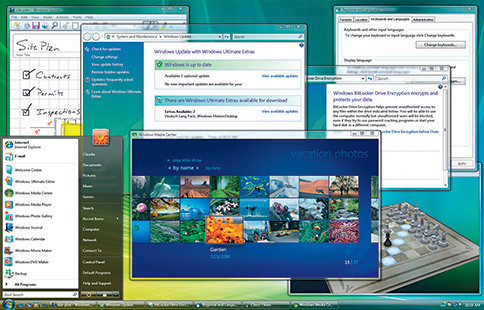 In order to accentuate the difference between Vista and previous Windows versions, it is provided with a new design for the taskbar, start button and window borders. It is noticeably faster to start up and battery usage in sleep mode is lower. Vista is also friendlier to media, and Windows Media Player has been enhanced to reflect this. Users can now play and edit videos, watch movies and TV, and view and send photos from a central location. 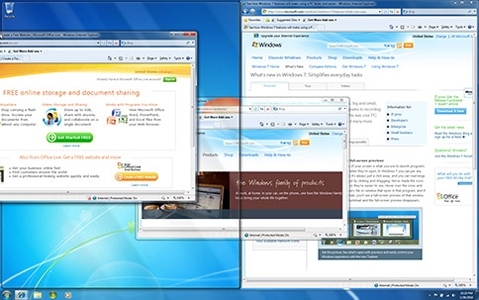 Windows Vista is more secure, easier to use, offers a higher level of media integration, is faster and looks better than any previous version of Windows. In fact, users wonder how Microsoft can improve on this. But they can! In 2009, Windows 7 comes onto the scene to cater for the specific needs of laptops and touchscreen users. Windows Touch is introduced, enabling users to open folders and files, browse the web and flip through videos and photos without the need for a mouse or touchpad. It is also quicker than Vista, with significantly faster boot, shutdown and wake times. It also facilitates internet connection though public wireless hotspots or private networks using passwords or security keys. Windows 7 offers a change to the way that windows can be handled for the first time since multiple windows became possible. Snap, Peek and Shake allow three different ways to view and work with open windows. 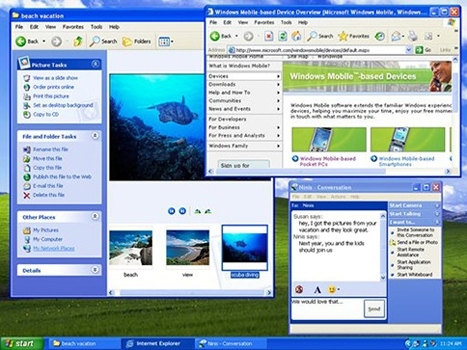 Although this version of Windows is not significantly different to Vista, it does offer some unique and useful new functions. Windows 8 is made available to the public in October 2012. While still based on the NT operating system, it represents a significant departure from previous versions in that it is based on the Metro design language. Metro is a touchscreen-compatible tablet interface that also permits access to the traditional desktop. Windows 8 can be used with touchscreen devices and also traditional PC input devices and displays. While there is no Start button, a Start screen can be revealed by clicking (or touching) the bottom left corner of the screen. The screen contains tiles, each representing a specific app. Windows 8 comes with a Windows store, IE 10, Windows Explorer, Defender, USB 3 support, apps for sports, news and travel and also a Task Manager. 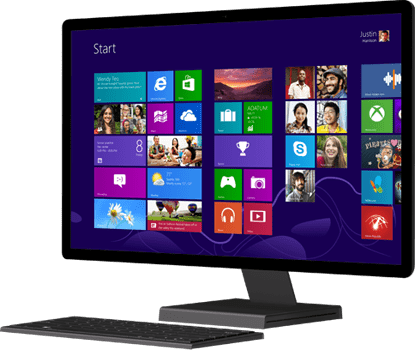 It is a version of Windows 8 with a long battery life that is designed specifically to run touchscreen apps available from the Windows store, and comes with touchscreen-optimized version of Microsoft Office. RT can run on some tablets and PCs – though not all. You will need the Pro version if you use BitLocker and Encrypting File System, VHD booting or Hyper-V. If you don’t know what these are, then you won’t need the Pro version. You will need it, however, if you want to play DVDs out of the box. The regular 8 does not permit this. You will also need a Windows 8 Media Center Pack for this. Released in 2013, Windows 8.1 offers a higher level of Start screen personalization that you can sync across all your devices. It is fundamentally designed to make Windows more convenient to use on a variety of devices that use either touch or mouse input – or even both. You can use a wider range of familiar mouse operations, find more apps and easily switch between them. Windows 8.1 comes bundled with a number of Bing apps, including Bing Smart Search, Bing Health & Fitness and Bing Food & Drink. There is also a Start button, enabling you to navigate between the start screen and the desktop. 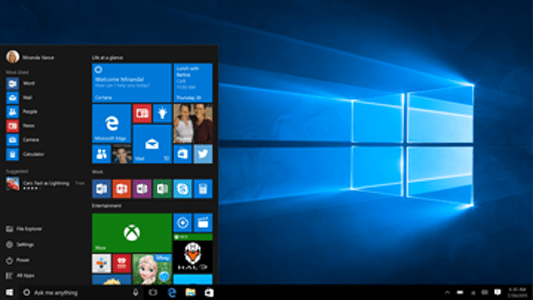 Windows 10: Steady Evolution – And Cortana! Windows 10 is introduced in 2015, and some refer to it as being the best version yet. It is the result of collaboration between many users via the Windows Insider Program. Customers have contributed to its development by responding to preview builds, enabling Microsoft to respond rapidly to comments and feedback for everyday users of Windows. Windows 10 is not intended to be a one-off launch, but will develop by means of regular advances and updates rather than by intermittent major releases as previously. This is a significant change in Microsoft OS policy that will benefit its customers. What does Windows 10 offer? A major new feature is Cortana. Familiar to Windows phone users, Cortana is Microsoft’s first digital personal assistant – appearing on a PC for the first time. She learns by interacting with each individual user, noting their preferences and behaviour and responding to queries with intelligence and wit. The more you use Cortana, the better equipped she becomes to help you. Gamers can stream Xbox One games to their PC or tablet, while Project Spartan is new type of web browser that enables you to highlight and annotate web pages before sharing them on social media. Each of these is a brand new feature with Microsoft. The Start button is back! Its absence was one of the bad things about Windows 8. 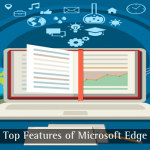 Another good feature is Microsoft Edge – a brand new browser meeting the needs of 21st century browsing, and integrating with many of the features of Windows 10 such as Spartan. Settings are also made easier and are presented in a more logical way than in Windows 8. So what’s next? It seems like the days of major releases of Windows are over. Windows 10 users will be provided with free updates as they become available. Perhaps one day computers will evolve to a stage where Windows in its current form becomes obsolete and manual input devices will be superseded with vocal commands – or ultimately even thoughts? Until that day comes, Windows 10 appears here to stay – for a good while at least. Bill Gates is my idol. I’ve read full history about Windows OS. Thanks for sharing nice history. Microsoft is the best windows Operating System. It has so many features nowadays it is very useful. Real amazing story. As every blogger must know about the history of successful personalities. Nice to read this history. It gives us inspiration. Thank you for sharing Microsoft history! That’s really amazing history about the operating system. Microsoft is the best Windows Operating System for every user. I’m very much impressed for this article personally. Thank you for the information! Nice to read about the Windows Operating System. Thanks for sharing this great article. Amazing! Bill Gates is one person I admire so much, He’s beginning inspires me and I can’t read enough of him. Windows has been my best platform and it will take lots of effort to price me away. Thanks for sharing! Very nice and described Knowledge on History of Windows OS. Windows had always been my favorite. But the things started to change when Microsoft launched Windows 8 and Windows 10. Both of this are nice operating systems, but somehow I am not comfortable working with them. One lesson to pick from there, don’t be ashamed to start small because you never know how great the outcome of your little beginning can be. Very detailed informative post and it looks like you have done good research about Microsoft and presented it in a comprehensive way. I should concede, you are quite a researcher. Bill Gates is a role model, everybody respects him. Undoubtedly, Microsoft is the best Operating System and is the most broadly utilized one, too. However, in the event that I were to name my most loved windows operating system platform, then Windows 7 wins here. Finally, Thanks for sharing! Using this application is easy any mobile phones iPhone and Android its very good speed to transfer any file. Really a very nice article!! Thank you for sharing this relevant information on Operating system! Nice information about Windows OS history man! I think, you really did deep studies on windows OS because your article is great.